Komatsu D31EX-21, D31PX-21, D37EX-21, D37PX-21 Bulldozer Operation & Maintenance Manual. The Operation & Maintenance manual will give you complete detailed information on operating, specifications, safety & basic maintenance for your Komatsu Bulldozer. This comprehensive Operators & Maintenance manual features photos and illustrations along with step-by-step instructions that will guide you throughout. This manual contains all you need to know to safely operate your Komatsu D31EX-21, D31PX-21, D37EX-21, D37PX-21 Bulldozer. You will find that this manual is an indispensable source of detailed information regarding all operating aspects of your Komatsu Bulldozer including attachments. 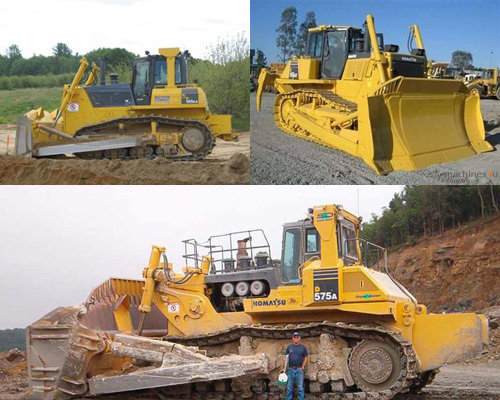 It will help you better understand, care for, and overall will lower the repair and maintenance cost for your Komatsu D31EX-21, D31PX-21, D37EX-21, D37PX-21 Bulldozer. Komatsu D31EX-21 Dozer Operation & Maintenance Manual d31px-21;komatsu d37ex-21;d31ex-21;komatsu bulldozer 278791062 15.95 fixsomething Fresh Download Available!